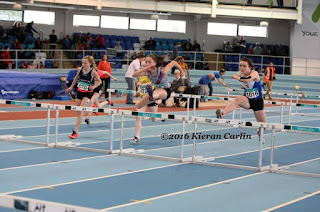 We had 10 athletes competing at the National Indoor Championships in Athlone last weekend, On Saturday Laura Kelly put in a great performance in the u12 girls high jump and finished just outside the medals in 4th place. Matthew Buckley and Rafa McCaffery competed in the u15 boys 60m, Rafa just missed out on making the final and Matthew put in another good perfromance running a new pb of 7.39s to take silver in the final. 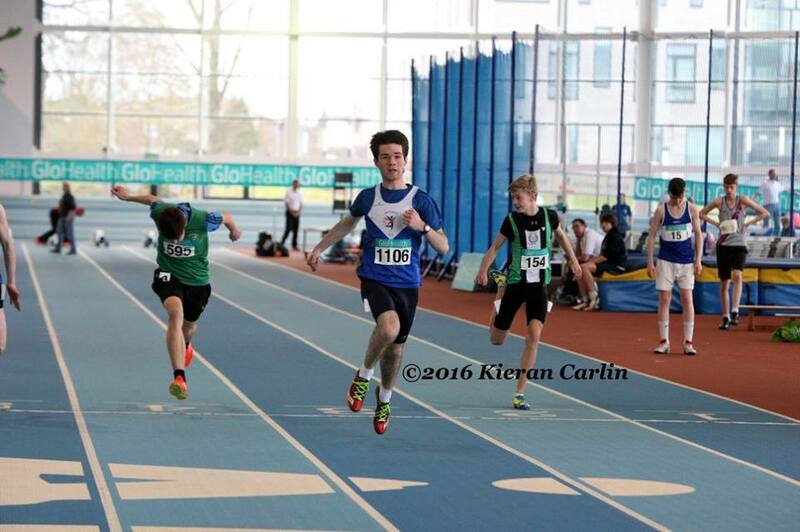 Brian Kiernan and Peter Kilgannon both made the finals of the boys u18 and 19 400m, Brian finishing 4th in the final and Peter 6th. 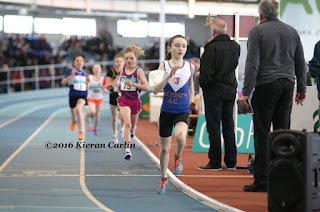 On Sunday Sophie Quinn and Aimee Doherty competed in the girls u12 and 13 600m, Sophie put in a great run in the girls u12 600m, after taking a heavy fall in her heat she bounced back to win her heat and put in another great run in the final to take gold in a championship best performance of 1:45.38. Aimee Doherty had to battle all the way in a packed field in the u13 girls final finishing 3rd and taking bronze in a tight finish. 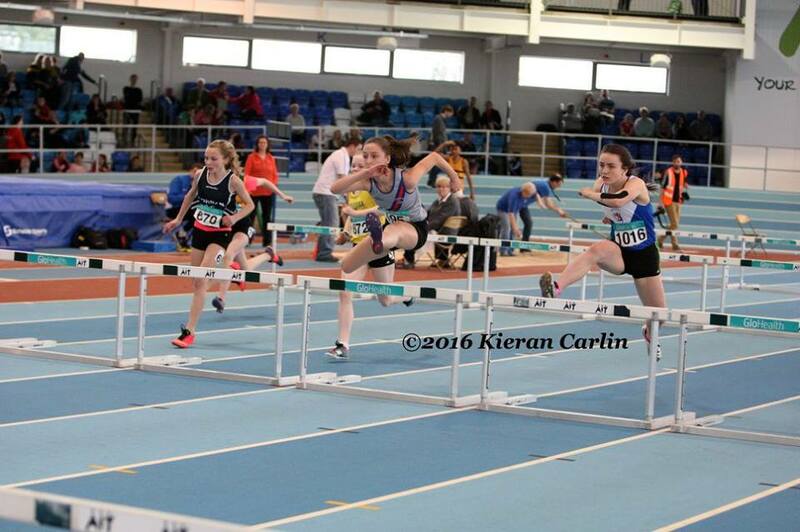 Lili O’ Connor who is just back from injury put in another great performance in the u14 girls 60m hurdles final finishing 3rd in another tight finish. Rafa McCaffery was back again on Sunday, this time in the long jump and while not at his best he still managed to finished 5th in the boys final. 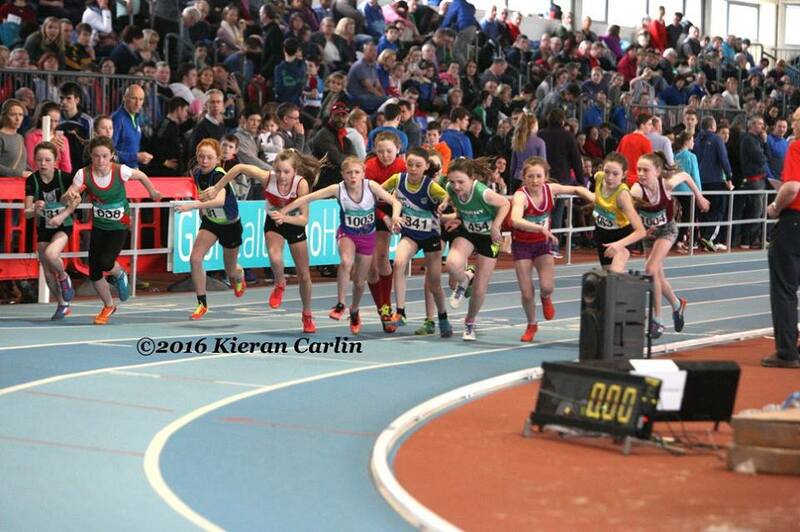 Niamh Murray put in another good display in the shot putt finishing 7th in the u12 girls event. 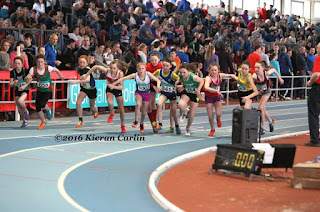 Well done to all athletes competing and best of luck to our athletes competing on Saturday at the National Indoor Relays.